Today is the big day, Young Eagles day. This is Stephanie's third time in the air. 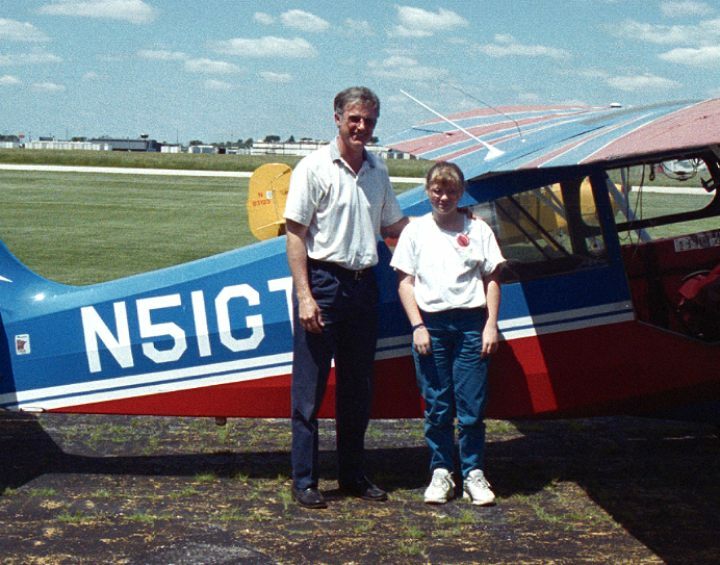 She cannot become a Young Eagle again but she has always worked real hard and Dennis gave her a flight anyway. This plane is a Citabria which is a fully aerobatic aircraft. teaches us that it is most often the simple things in life that provide the glue in a community. Values such as honesty, persistence and concern for those less fortunate.